The above diagram shows the Confederacy as a rectangle with four aquatic boundaries. In this diagram, the rail lines straighten out (like a subway map). 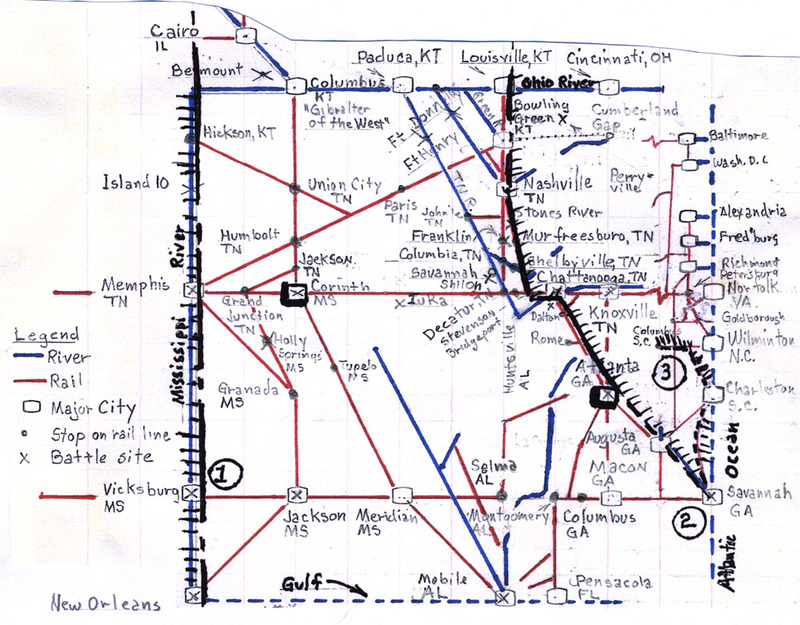 Important hubs were at Corinth, MS, and Atlanta, GA. An inconvenience did exist between Selma, AL, and Montgomery, AL, which were not connected by rail. Both railroad hubs in Corinth and Atlanta were captured by the western armies, greatly diminishing the effectiveness of the railroads in acting as interior lines for the Confederacy.